I have been receiving requests for different sayings on the butterflies and lilies. If you want to have a different saying please leave a comment and I will try to make the most popular requests. Fluttering by to wish you a Happy Spring! Fluttering by to wish you a Happy Mother’s Day! Paper Shoe -instead of making a witch’s shoe, make a pretty shoe for a ladies lunch or bridal shower! I teach pre-k at a Catholic school and would like to give my students the lollipop butterfly that reads "We love because He loved us first. 1 John 4:19." Thank you! When I try clicking on the link above to download the butterfly for happy valentines day it takes me to another page instead of opening a pdf for me to download. Can you please email me the pdf and fix the link for this page? Love these templates, thank you so much! I didn't see a summer option but thought these would be cute year-end gifts for my students, something like "I hope you have a sweet summer!" NM I was able to find it via google search. In case anyone else is looking too. I'm having trouble getting the actual download link for the Happy Valentines butterfly. I click on the link and it leads to more Valentines printables but not the butterfly. How can I get a template of butterfly with blow pop that says Happy Valentine's Day? I need it for 2017 Valentines. Thank you. The Valentine's Day butterfly is darling ... but it doesn't seem to load the PDF? I'd like to use it for my daughter's party next month. Hi all your printable are amazing! thank you for a sharing your ideas. I am preparing for an Easter talk and would like to give each child a butterfly with a lolly. Was wondering I could trouble you for a template that says Happy Easter all around the butterfly. Thanks! Do you have a printable for the Valentine butterfly? These are ALL amazing! Thanks for sharing your talent! These are ALL amazing! I can't find the printable for the Valentine butterfly. Do you have a printable for this? Thanks for the lovely butterflies ! Please could do one as as an Invitation that said : Invite : Please flutter over and pop in! I was going to do the details of the invite on a leaf. Hi! I'm planning my daughter's 1st birthday and came across these! i absolutely LOVE them! Can they be printed on cardstock or actually what paper would you recommend that is a bit moe durable but still fits through a printer? Thank you so, so much!!! Love,, Love Love!! These are extremely cute! I'm going to do these for my 4 year old. I love the fluttering sayings, they are so cute and go well with the butterflies. 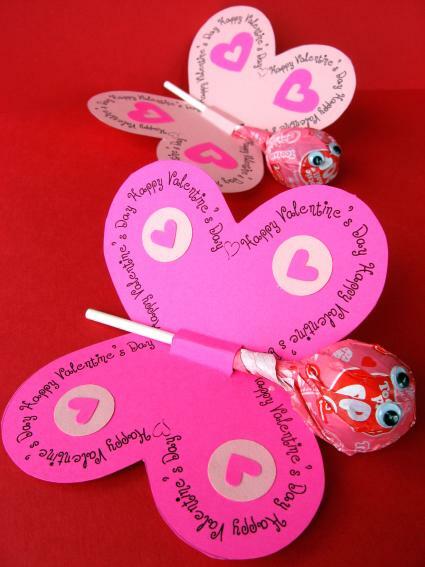 Could you make a printable that says, "Fluttering by to wish you a Happy Valentines Day"? It would be perfect! I love the very adorable and creative lollipop butterflies!!!! Can you tell me how you changed the color of the font because when I print their black. I would love the butterfly to say "happy birthday"... and would love both the flower and the butterfly to have the wording..."Just for you"
I just wanted to thank you for this adorablely sweet project. They turned out so cute, I don't know how they are going to last until Valentines Day!!!! You are sooo clever. I love your lollipop lilies and butterflies. Is there any way you could make one that says Happy Holidays so I can give to children at school at the end of the year? You are amazing! !Would be possible the pattern of butterfly with "Happy Birthday" (or more personalised " Happy 3rd Maria's Birthday"? )Thank you for your perfect idea!! your craft is really awesome especially butterfly and flower with lollipop! i am planning to make some for my daughter's 1st birthday party with an indication saying "thank you for coming to my 1st birthday"
Thanks so much for posting these! My little girl is excited to make these for school! We have decorated our church with butterflies this year for "New Life" at Easter. Would you be able to write Happy Easter on the butterfly template? Thank you so much for all the printables you share. The butterfuly template is perfect! My daughter told me last night that she wants a butterfly themed birthday party! These are so cute! Forgive me, but how do you print the text on the lilies and butterflies? oops wrong address in the last post -- he's the right one. These are so very pretty! I featured them in a Valentine Round up this past Wednesday! On looking a little closer, I found them. Sorry, not enough coffee this morning. I was looking for the "happy Valentines Day" template as in the website. So cute. For either the butterfly or flower, or preferrably both. This is a very cute idea! 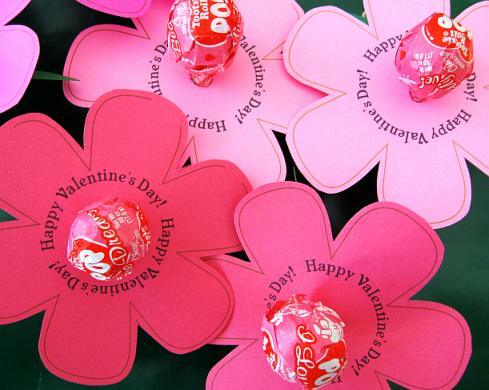 On Friday I will be featuring your post in an article entitled Top 10 Valentine Crafts. You can find it here http://makingofamom.com/top-10-valentine-crafts/ on friday Jan. 27! Hi thanks for the lovely idea of the butterfly - something Christmas like would be lovely too. I am from south africa. My daughter is having a butterfly party and I love the lollipop idea for the invitations. Would it be possible to have the butterfly lollipop template with happy birthday or something similar. Please add the wording "Happy Woman's Day" for me. Could you create a lilly with "Happy Woman's Day"? Hope you don't mind! They were some of the cutest out there.. Thank you! These are precious! I very love your butterflies and lilies ....this grade ideas!!! Thank so much, I love, love, love it all! I love the valentine flower. Is there a template for the Valentine's day one? ALSO looking for the "Happy Valentines Day" template, please help. Hi, adorable website. Is there a template for the Valentine flower? I love the valentine butterfly - is there a template that says Happy Valentines Day? Thank you! Will use the butterfly lollipop for my daughters birthday party. Do you have a butterfly template that says Happy Birthday? Or a template that says "Thank you for helping us celebrate"? I have twins. Thank you!! These are great! Super cute idea! I am going to tweak your template for May Day and make them for my daughter to give out to the neighborhood kiddos! Hi, would you be able to do a lily or butterfly template for farewell wishes? My 4 yr old girl is transferring to another school in June & I thought it would be nice if she could give to her friends on her last day of school. Thanks. These are too cute! I'm using them next week when I have parent-teacher conferences (I'm a teacher.) I'm printing them out in fun colors and then having the kids write notes to their parents on them. Thanks so much! I would love to see one that said, "Great Job!" or "You're Awesome!" or some along those lines so they could be given out as a positive reward/note. My daughter's name is Lily, would you be able to make a template that says "Lily Pops"?? How about, "Bloom where you are planted" on the lily to offer encouragement to someone? and "Flying High" on the butterfly to congratulate someone's success? maybe something with "butterfly kisses" for a child or a sweetie? Just thinking-these would be cute and easy for Teacher Appreciation Week-just not sure what would be a good saying for them. Thanks for sharing these and making up all the ones with different sayings. That's so nice of you. Love this! How about Happy Birthday! Or thank you or thank you for helping me celebrate! Just a couple ideas! Thanks! Love your blog! I like the "Happy Spring!" idea. These really are darling. Thanks for sharing your cute stuff. How about "Happy Spring" For the 1st day of spring this saturday? Too cute! Love those ideas! I love these lollipop designs. As Betsy said, I'd really like the butterfly pattern too. :) Thanks! These are may favorite - so cute and yet so easy to make! Can you please post the butterfly pattern? All of these are the lillies. How or where do I find the leaves for the butterfliy lollipop to print? I love your printable lollipop items. I would love to see butterfly with nothing on it. And also would love to see items for Easter. Great Job, you ROCK!